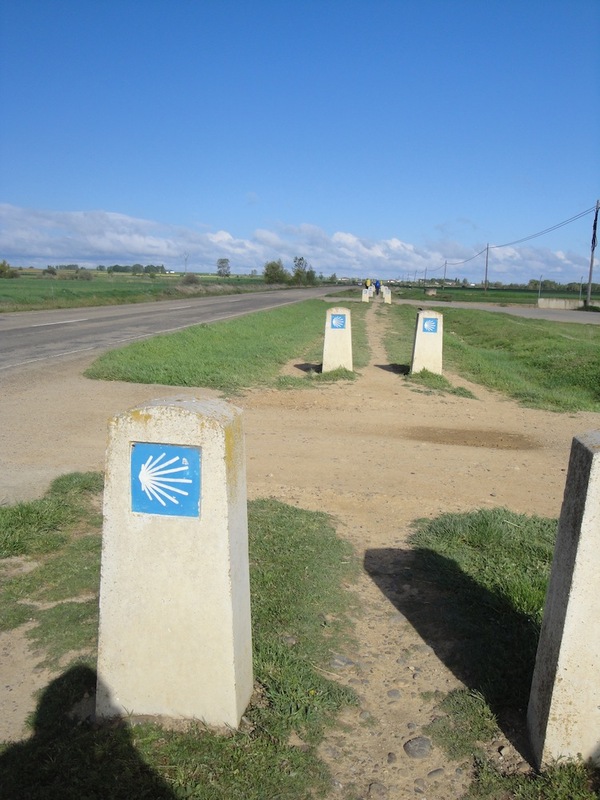 It has been nearly three months since I returned from Santiago and the Portuguese Camino. I had a great time. It was short. Too short. I arrived back and immediately thought “I need to go back”. So I sat down and looked at flights back to Spain. My trips to Spain typically last 2-3 weeks each year so a 10-day trip left a lot to be desired. So when I heard that a friend and her husband are walking the Camino around that time, I asked if I could join them for a few days. Luckily enough, the response was yes and I quickly booked my flights. So I fly into Bilbao on September 11th and arrive in Puente la Reina later that day after a short bus journey. I meet up with them in Estella the following day, then I hope to walk with them for a few days after that. 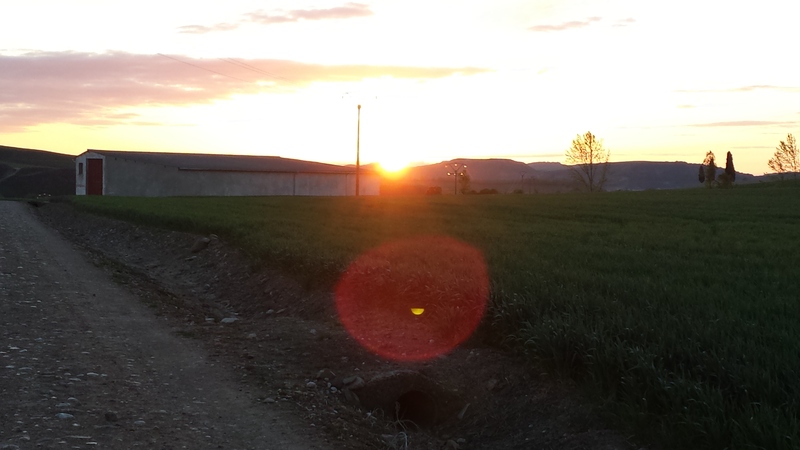 Hopefully, I will have enough days to walk to Belorado, a town I have many memories of. So that’s it. I hope to meet people who have just set off on their journey as opposed to finishing in Santiago. I also hope that I can just switch off and enjoy each step compared to the frenziness of Santiago. This second installment of the “Towns Along the Way” series brings us to “B”. There are a wealth of towns starting with “B” so I might as well start by talking about them. I would be interested to hear from anyone who has stayed in any of the below towns. What have your experiences been? Good, bad, indifferent? 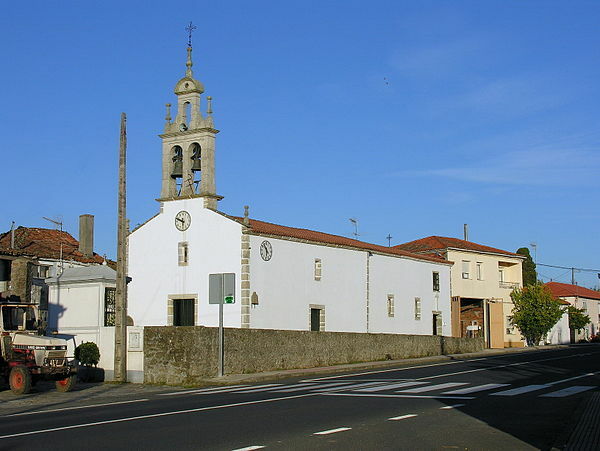 One of the first villages you will arrive at on leaving Sarria. In fact, it is 3km from Sarria. 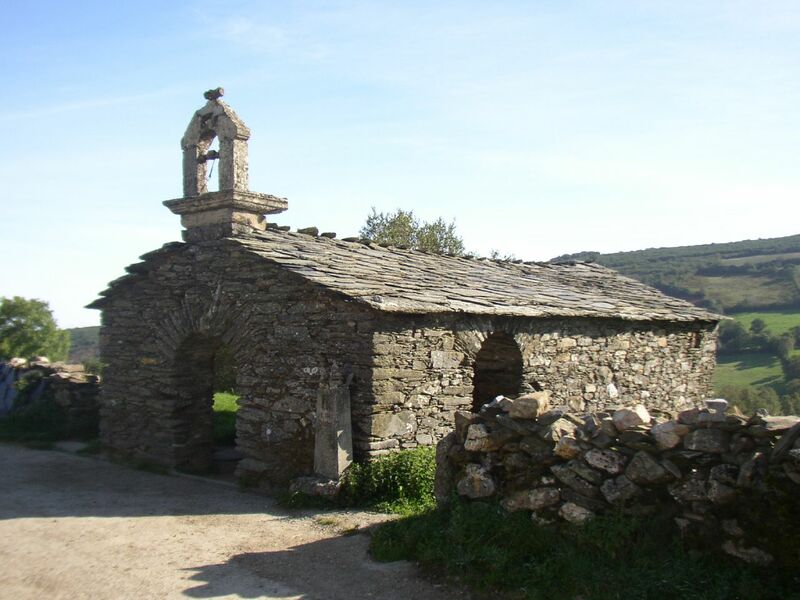 It is situated in the province of Lugo and with a population of less than 50, you know you are in Galicia as most of the surrounding area is green. I passed through here in 2011 and vividly remember the large oak tree and half-road-half-stream (left). The village has a number of albergues (www.gronze.com) which you may choose instead of the “mayhem” of Sarria. I hope to visit these parts again in 2016 so my memory is refreshed. Aha..now I could go on for quite a while about this particular town. It is one of my favourite parts of the Camino. Why you may ask? Well, each time I have stayed here or passed through I have been treated exceptionally well. 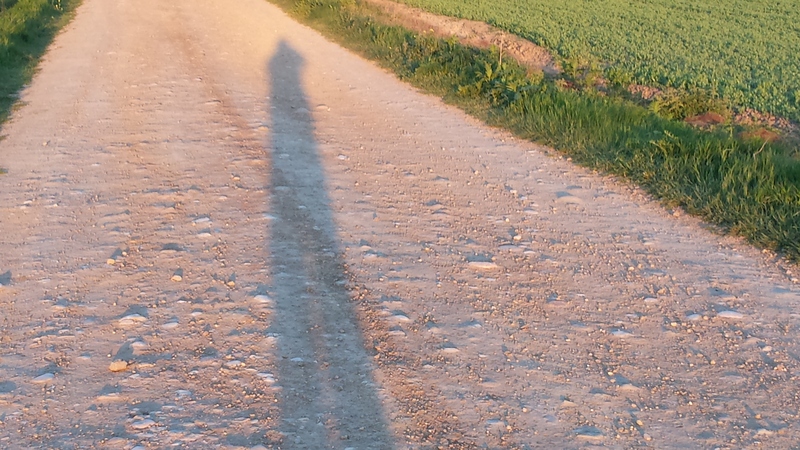 And I will make sure I visit again on my next Camino. 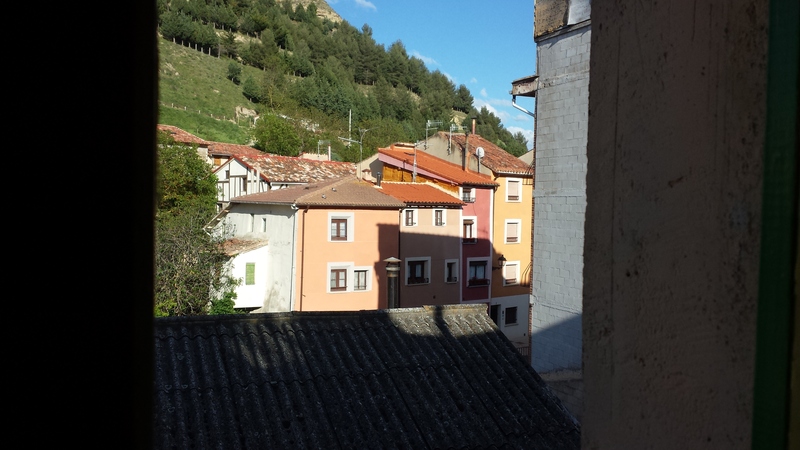 The town itself is located 50km to the west of Burgos and has a population of over 2,000 people. It is also situated close to the Oca Mountains and if the weather is poor, it is not uncommon to see some people take the bus direct to Burgos. 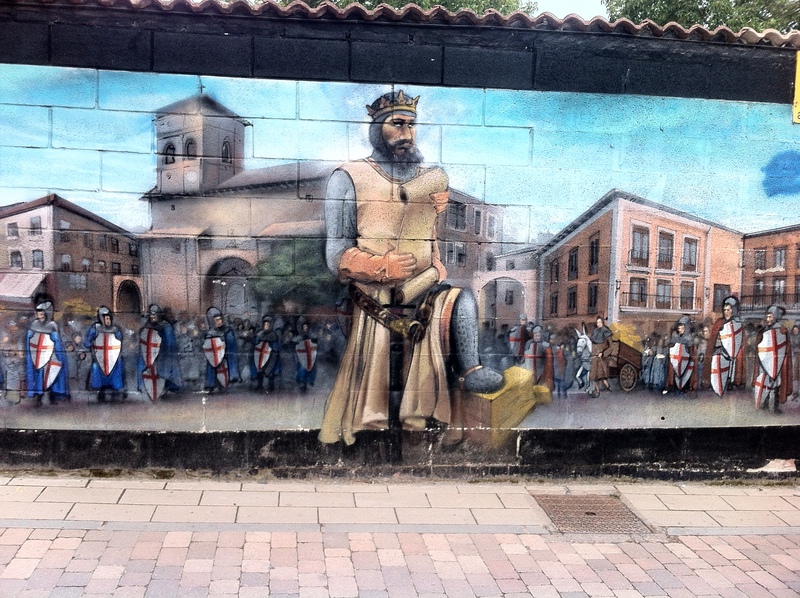 Belorado is a well kept town with plenty of murals on the wall. There is a large town plaza with plenty of places to eat. The film “The Way” was shot here also, and if you look at the ground you will see a handprint and autograph of a number of the stars from the film. There are plenty of accommodation here also (www.gronze.com). Cuatro Cantones albergue would be a favourite of mine, having stayed there in 2013 and 2014. Jana and her family will take good care of you. I stayed in Casa Waslala in 2015 and enjoyed my time there also. 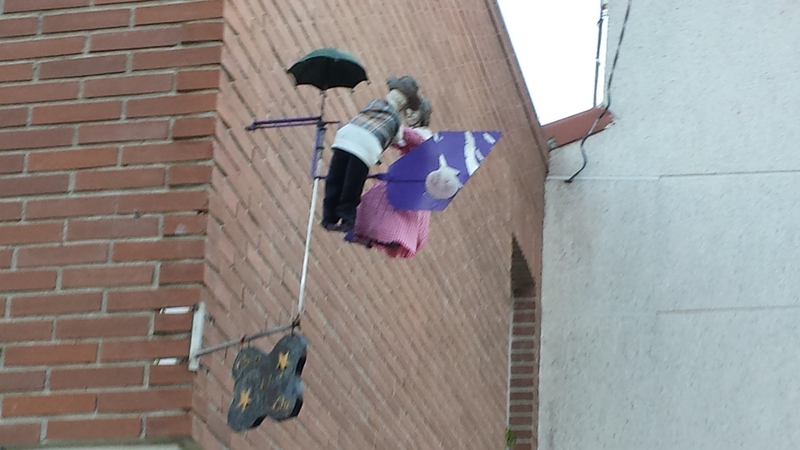 Another example of a blink-and-you’ll-miss-it town along the Camino. 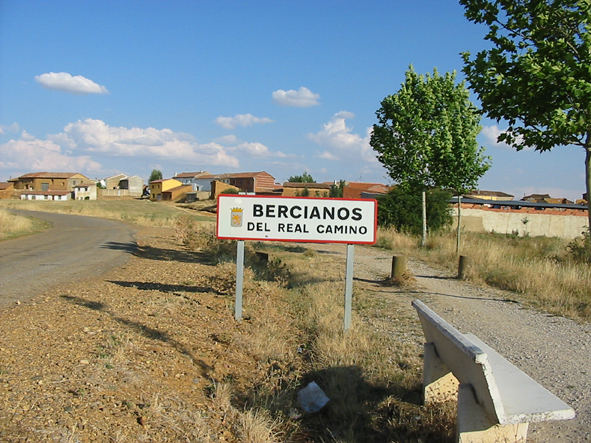 Bercianos is a small town about 10km west of Sahagun and it has a population of roughly 200 people. While it is small, it has great character and I have enjoyed my time here. The terrain in this part of Spain is pretty basic, it has to be said, but my time here, I will always remember. If you do opt to stay here (rather than in El Burgo Ranero a further 8km onward), ensure you stay in the Parochial albergue run by a voluntary order (www.gronze.com). It is large, you will be fed well and all you need to do is sing a song from your own country. Rest assured that Bono will never feel threatened after my singing of “I Still Haven’t Found What I’m looking for”!!. 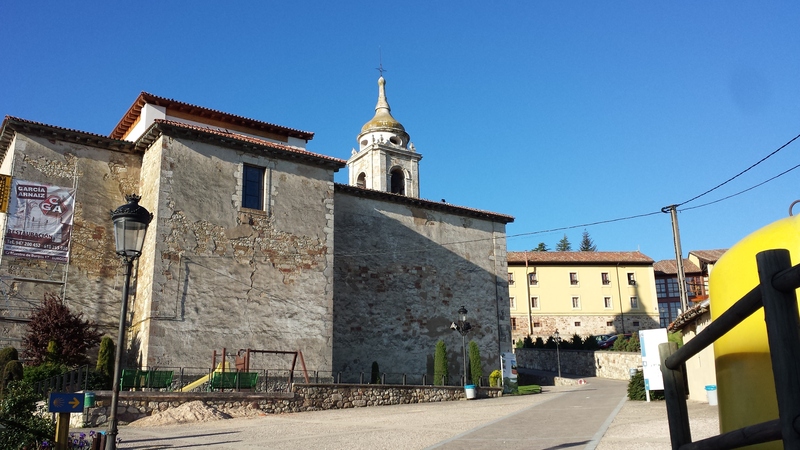 Biduedo, or O Viduedo as Galicians call it, is a tiny village about 7kms from Triacastela. It is a typical rural community with close to 30 people living there. It does it’s best to serve the peregrinos passing through by having a number of private albergues (www.gronze.com) and there are a number of bars to stop at for a few minutes to rest the weary legs. One might find this town the perfect place to stay during the busy times of the Summer months. Another pilgrim’s favourite and an end stage in Brierley’s guide book. It’s a favourite of mine and I have stayed here both times I have walked through. It is situated about 60km to the west of Burgos and is in the Meseta, Spain’s high central plateau. The town has a population of about 175 people and lives mainly on agriculture. However in recent years, it depends more on the Camino with more albergues and bars opening to support the increasing numbers. There are quite a few albergues and hostals here (www.gronze.com). By far my favourite would be “En El Camino” owned by Eduardo and his family. I have stayed there in 2013 and in 2015. You are provided with dinner there also. On leaving the next morning, you may even spot some fishermen look for the first catch of the day along the Canal de Castilla. 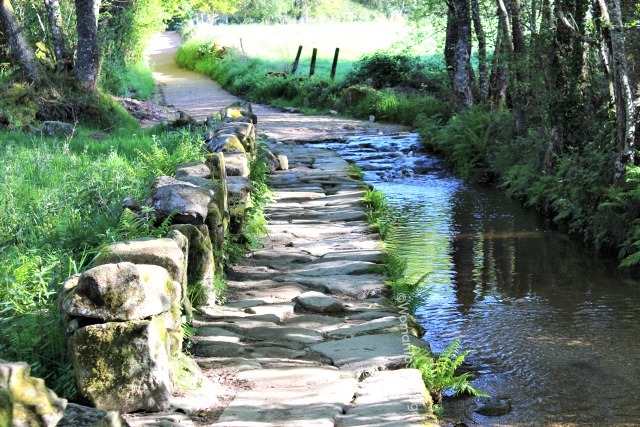 You will encounter Boente as you walk from Palas de Rei to Arzua in Galicia. It is another small town with a population of less than 50 people and is fairly close to Arzua. It is highly likely that you will not remember much about Boente by the time you reach Santiago. This is perfectly natural however, as at this stage you will have 50km left to walk and you will be trying to think of ways of how to slow time down! Should you wish to stay here and not in Arzua, there are a number of albergues (www.gronze.com). Burgos is one of the largest cities that you will encounter on the Camino, along with Pamplona, Leon, Astorga and Santiago herself. It has a population of over 200,000 people and is in the autonomous community of Castille y Leon. It is a fairly large city and there is a good distance to walk before you at it’s heart – the Cathedral. The Cathedral (left) was declared a world heritage site in 1984 by UNESCO and I strongly encourage you to visit it no matter how weary the feet are! 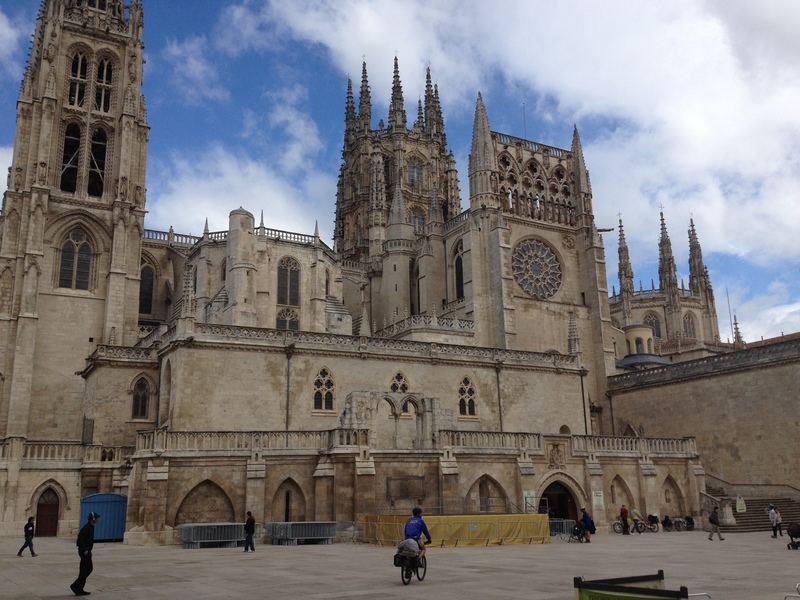 Many people choose to take a rest day on reaching Burgos to visit the sites and recover. Another option is to walk a short day the following day. There is a wealth of accommodation as you would expect in a major city (www.gronze.com) however I have stayed in the cheap-as-pie municipal albergue beside the Cathedral. For €5 you can’t go wrong. 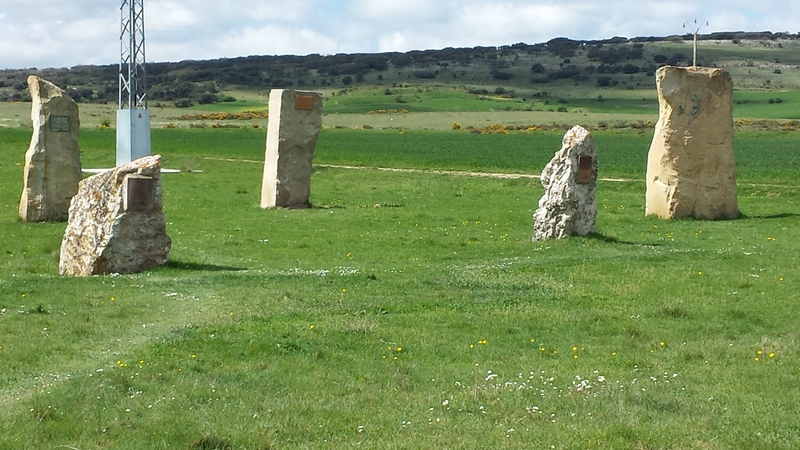 Leaving Burgos brings you to the Meseta, which kind of puts people off walking the next 100km. I am baffled by this myself. 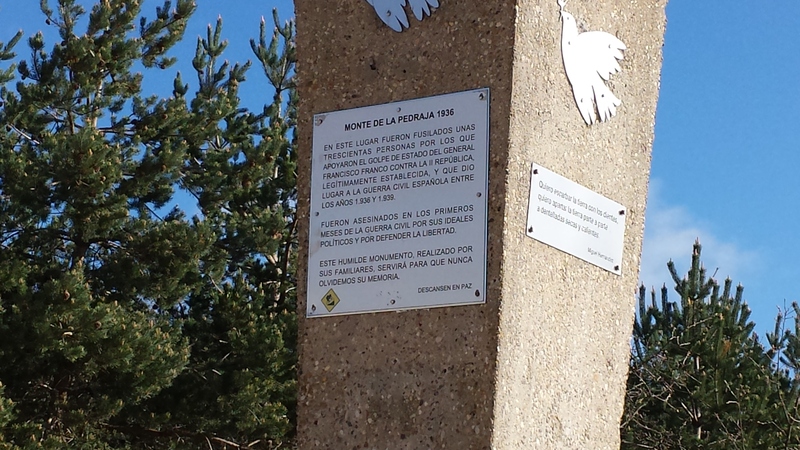 The meseta is my favourite part. 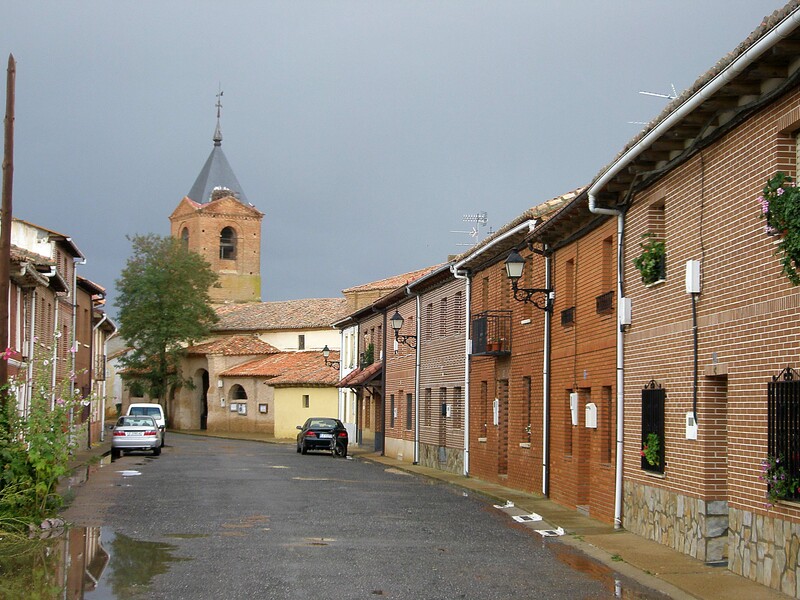 Situated some 8km from Bercianos de Real Camino and 18km from Sahagun, El Burgo Ranero is a small town located in the province of Leon. It holds a population of over 850 people and the Camino goes down it’s main road. I have stopped here on two occasions for cafe con leche, preferring to stay in Bercianos and Sahagun. There are a number of albergues here should you wish to stay (www.gronze.com). On leaving El Burgo Ranero, the path is on the whole uninspiring until you reach the large city of Leon, some 35km away. In May of 2015, I met two Irish ladies here who spoke in Irish. It was a shame I couldn’t join them in their conversation however! 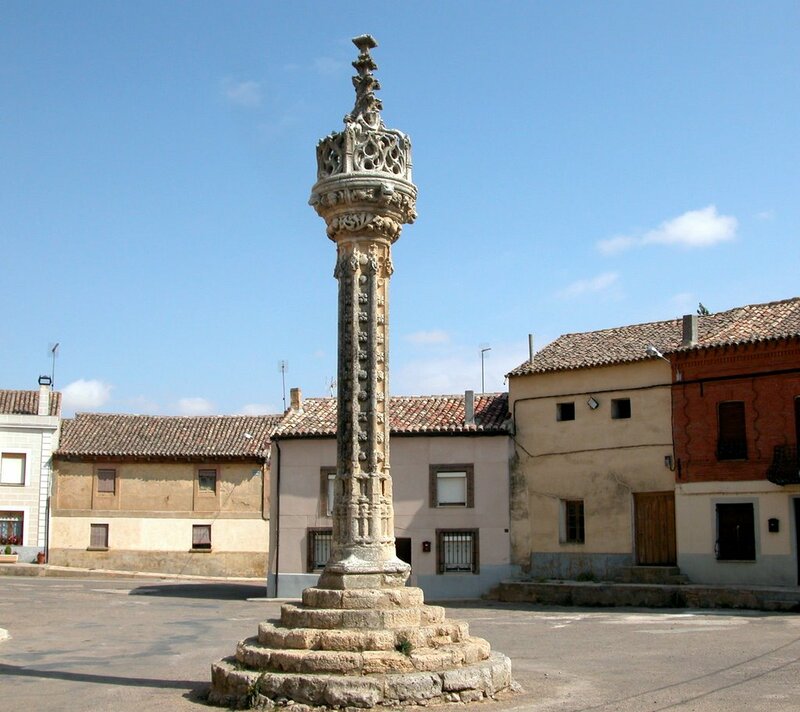 From the end of the meseta in El Burgo Ranero, we travel back 400km eastward to the town of Burguete. 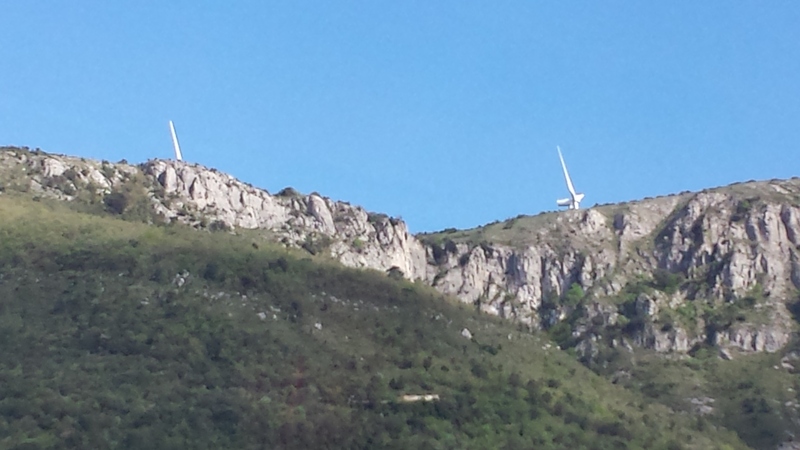 It is located in Navarre and is the first town you will encounter on leaving Roncesvalles. Many people call it by it’s proper Basque name “Auritz”. Ernest Hemingway lodged in Burguete in 1924 and 1925 for a fishing trip to the Irati River, and describes it in his novel The Sun Also Rises. The town has a number of albergues (www.gronze.com) but many people choose to stop here for breakfast before moving on to Zubiri or Larrasoana. It is one of the more picturesque towns along the Way, with white facades and red window shutters a feature for many Basque houses. 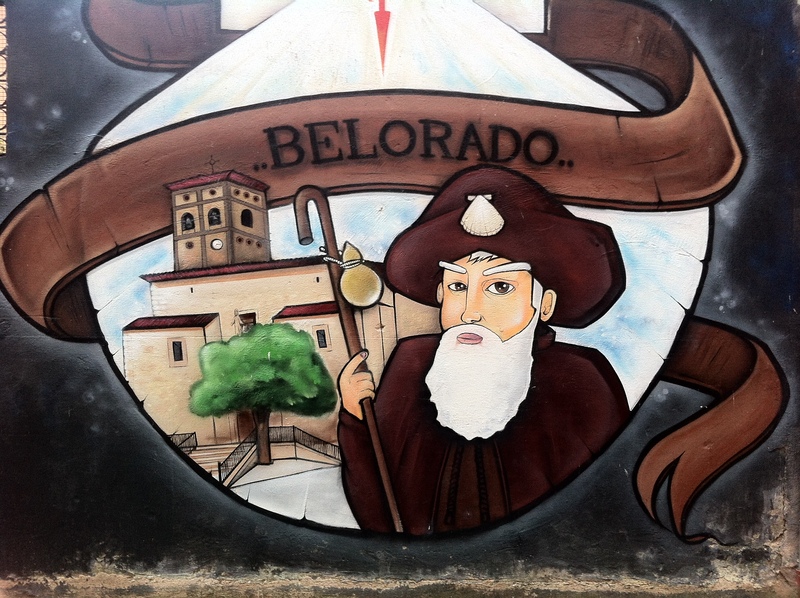 The next installment will feature towns beginning with C.
The artwork in Belorado is special. All it’s walls are covered in drawings of pilgrims, soldiers and signs showing the right direction. I have passed through this small town on three occasions and have always enjoyed my time here. Jana and her family in “Albergue Cuatro Cantones” roll out the red carpet should you wish to stay in their albergue. 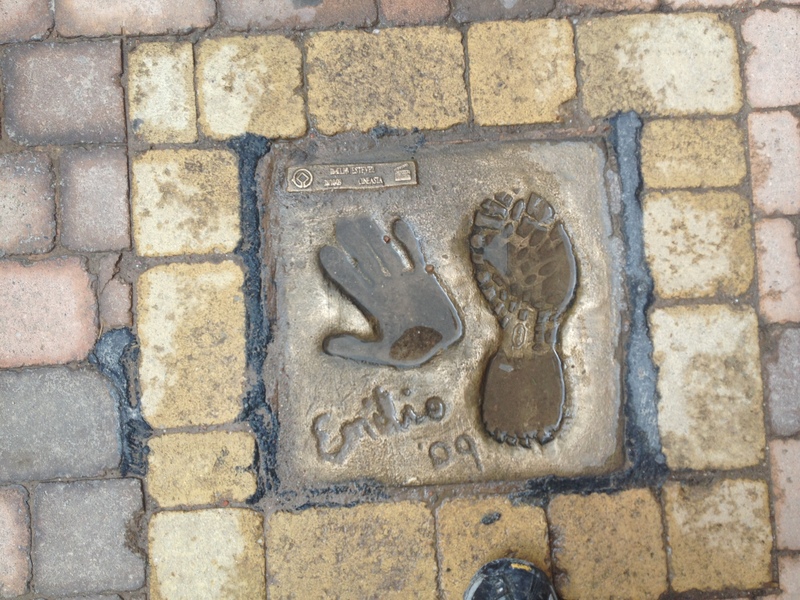 Martin Sheen and Emilio Estevez literally left their footprints in the town before they finished shooting “The Way”. So if you pass through, keep an eye on the ground also! Ok ok..I’m one day behind on the blog already and I’m only two days in. The shame! So now that I’ve just finished my menu del dia and I’ve located some wifi, I’ll let you know how I got on yesterday. I woke up before 6am ready to hit the road. The couple at Casa Waslala had been great but it was time to move on. It was still dark when I left and it wasn’t until 7am until the sun started to rise. Wow what a sunrise. I stood still waiting for the sun to pop up and gradually the temperatures rose. I stopped at Espinosa del Camino and had a coffee, croissant and Aquarius. Lovely. Lisa from Germany sat down and we had a chat for a half hour or so. I said goodbye shortly after as my pace picked up. I reached the truckstop town of Villafranca Montes de Oca and took another rest stop. 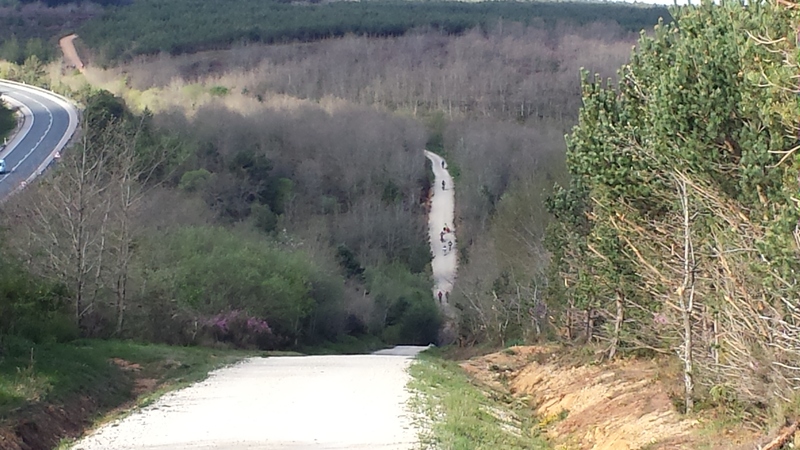 Here the Camino takes a sharp incline and I struggled a bit trying to reach the top. I entered a wooded forest of pine trees at this stage and while it’s all well and good from a natural point of view, 12km of it is mundane. I had music so I was happy. I reached St Juan de Ortega before 11am. The church is undergoing work, long overdue in my book. Still can’t understand why JBB has Ortega has an end stage? I walked on still feeling fine and under no pain. I think Ages will be fine to stop, I thought to myself. Hmm..not to be. All the albergues were booked up, just like I had predicted. 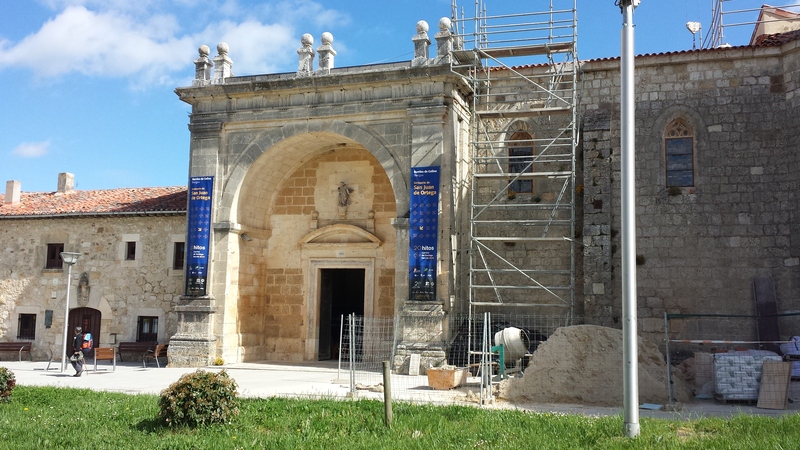 Onwards to the Unesco heritage village of Atapuerca where I was greeted by the same albergue I stayed in 2013. El Peregrino was not open until 1pm so I had under an hour to kill. I looked for the other albergue without luck, so I ventured back to El Peregrino. It’s a flimsy, pre fab with very little care for noise control. I think I got 4 hours sleep. That said I met some great people that I hope to meet again in the coming weeks. Lisa stayed there along with Tom and Caroline from Ireland. There was Franz from Germany and Tina from Denmark. I ate in the aptly named Como Sapiens. All in all a tough day walk but at least the next day would be shorter. I woke up this morning thinking everything was going to go wrong. You name it, it was going to happen. But I was wrong happily. My flight wasn’t delayed, my bus from Bilbao to Belorado was on time and I arrived in Belorado with a bed and meal waiting for me. I need to relax more often! The flight was perfect and I arrived in Bilbao early if anything. I probably shouldn’t have checked my bags in but hey! I’ll know that for next time. It saves time. There were plenty of Irish on the flight Camino – bound. It was easy to spot them. Look for the zip off cargo pants!! I arrived into Bilbao and caught a feeder bus to Termibus just like I did in 2013. It takes 25 minutes approx so I needed to get this. 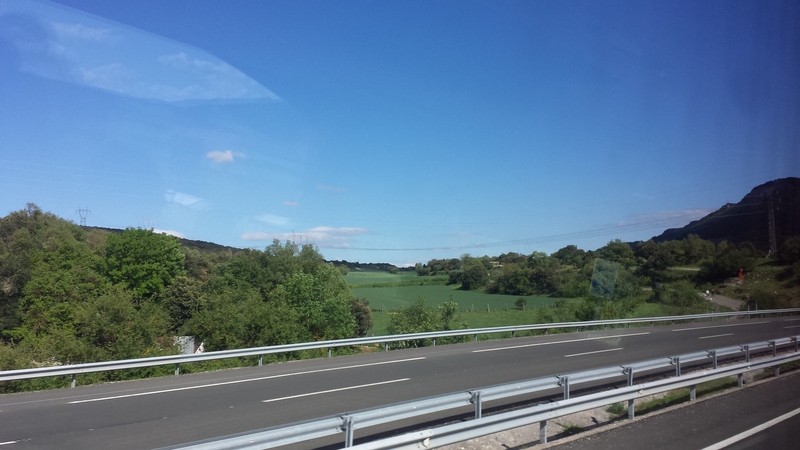 Once I got to Termibus, I bought a ticket for bus to Haro and another from Haro to Belorado. Complicated or what? Anyway, I got into Belorado after 7pm and was greeted by a very nice couple at Casa Waslala. I took up the advice of one of my blog followers and I’m glad I did. I loved it. 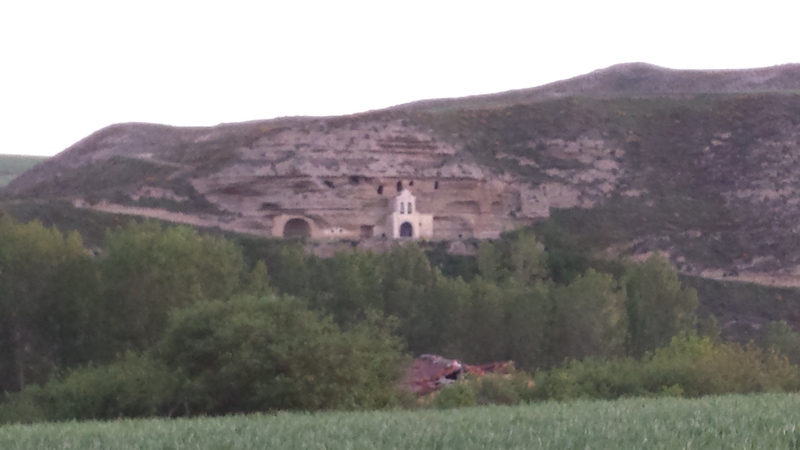 Now to head to bed as I want to be up early for a walk to Ages or Atapuerca. Let’s see where the legs take me! Until tomorrow! 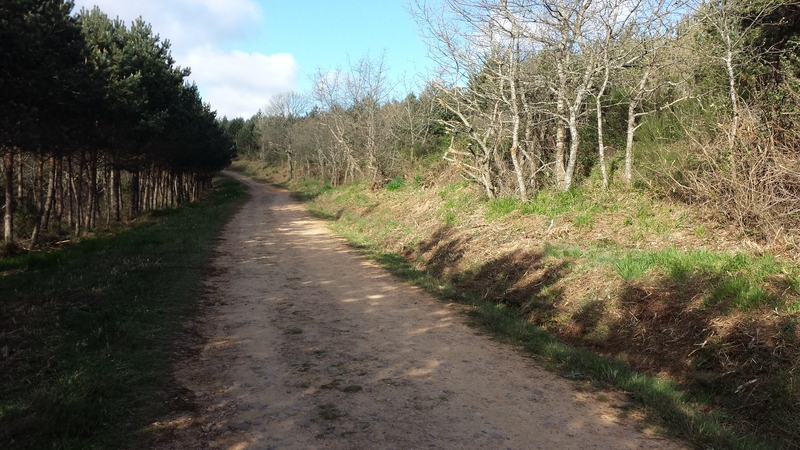 Well, it’s not long before this Irishman finds himself back on the Camino trail. I will pick up where I left off last September and will walk for two weeks. The fortnight is going to be relaxed, it’s going to be enjoyable and fingers crossed I meet some good friends like I have done since 2011. This translates as “Hello David. For the 6th of May, we are full. Buen Camino”. Are albergues full that far in advance? Are people booking bunks 4 or 5 days in advance? 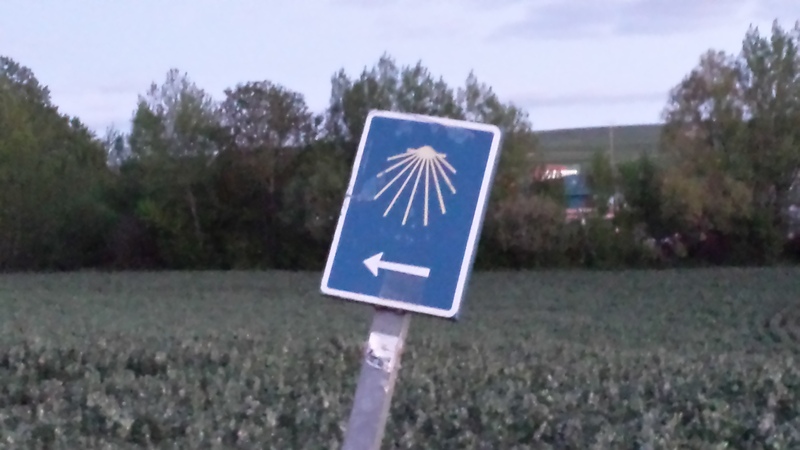 I’ve never come across this before and if this is true, it means times are changing on the Camino. So, as I prepare for my 2 weeks away, I am trying not to let this nugget get me down. There are municipal albergues that you cannot reserve in advance and I shall be aiming for those. Luckily, I like walking in the morning as the sun rises so I don’t think I will have any great problems with “the great bed race” but I think of those who like to take it easy and “smell the flowers”. I hope to post a few lines after each day from the 5th of May onwards by the way. Time flies when you’re having fun eh? I surely hope my time in Spain doesn’t go by fast when I get there! Like the title says, I am 20 days before I start my 5th stint on the Camino Frances. I can’t believe I have been caught by this bug since June 2011. There is no sign of it letting me go also, judging my eagerness to return to Spain. I have just over 2 weeks of walking ahead of me so if all goes well I should get to the Templar city of Ponferrada. 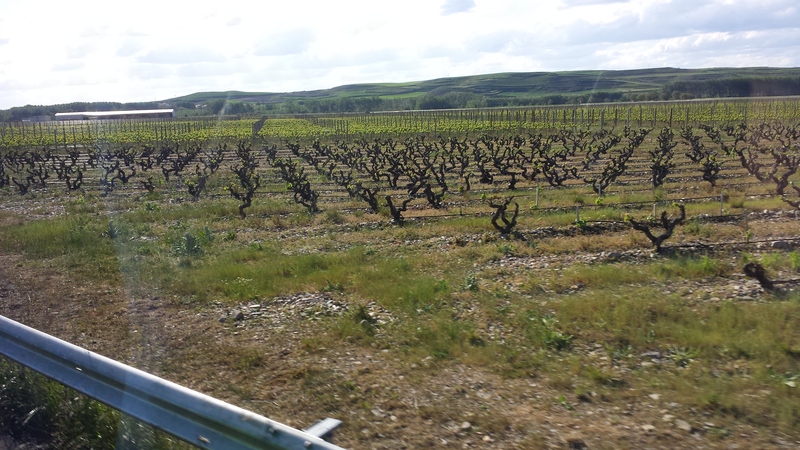 Although I may reach Villafranca if I put in a few long days. My flight touches down in Bilbao on the 5th of May and I catch a bus from the city’s main bus station afterwards. It will bring me to Belorado where I plan to start the next morning. I have emailed Jana in Cuatro Cantones (I encourage you all to stay there – a fab albergue) and she will save a bunk for me there! Should my flight be delayed, I have option of catching a later bus to Burgos which is 50km westwards from Belorado. I walked from Belorado to Atapuerca in 2013 , a 30km day, but I may stop short in Ages this year. It is a challenging first day with a good climb at Villafranca Montes de Oca and a long slog of 12km through woods before arriving at the barren San Juan de Ortega. I have good memories of devouring lunch and a cerveza at the bar there before moving on to the next town. I’ve also learnt that some friends of mine are walking different sections in or around the same week. Unfortunately, we won’t meet but we will good stories to tell when we all return. I travel to Tipperary this weekend to walk two longish days (around 20km) and hopefully to have some tapas and vino. I had a random thought of throwing on my backpack in work today and a big smile appeared on my face. It is strange what makes people happy. I can’t wait to get back out there.